A community archaeology project run by the North Pennines AONB Partnership has been so successful that it has had the go-ahead to come up with new ideas for digging into the past – and organisers are looking to the public to suggest ancient mysteries they would like to solve. 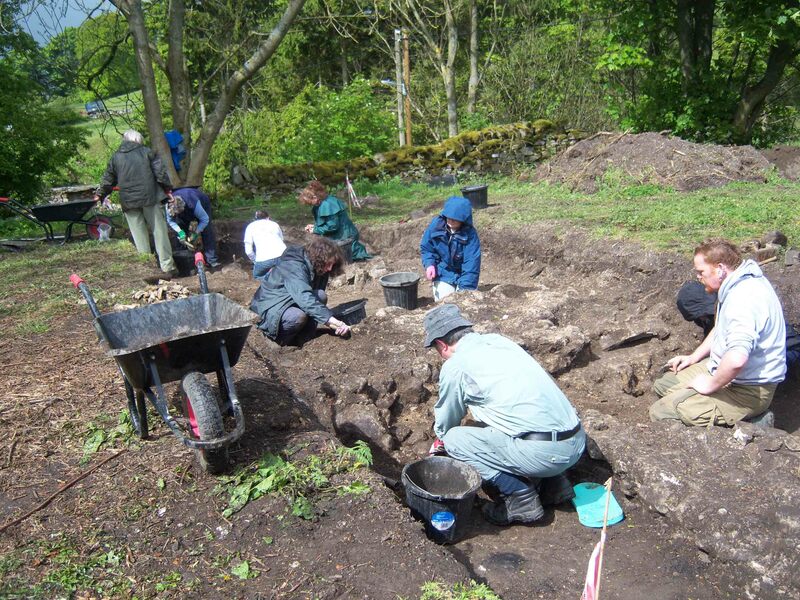 During 2011 the North Pennines AONB Partnership ran a pilot phase of its Altogether Archaeology project, which attracted more than 400 volunteers from all over the region. The Heritage Lottery Fund (HLF) has now awarded the AONB Partnership a grant to develop a programme of archaeological fieldwork and other events so that the volunteers can undertake more exciting work over the next three years. Highlights of the pilot phase included excavations at Westgate Castle in Weardale, a survey of the splendid archaeological landscape of Holwick in Upper Teesdale, the survey and excavation at Muggleswick Grange near Castleside in County Durham, the investigation of a prehistoric burial site on Appleby golf course and the excavation of the Maiden Way Roman road near Alston, both in Cumbria. The AONB Partnership’s Historic Environment Officer Paul Frodsham said: “Key to the success of the pilot project has been the fantastic commitment and enthusiasm of our community volunteers. Our recent day conference which was the culmination of the pilot project was one of the most enjoyable archaeological events I have ever attended. Working with the volunteers and numerous partners including English Heritage, Natural England, the Northumberland National Park Authority, and the Universities of Durham and Newcastle upon Tyne, Paul is devising a series of exciting ideas for the new project and looking at ways to bring the newly uncovered history of the North Pennines to new audiences. These will then go forward to the Heritage Lottery Fund for consideration. The origins and history of the North Pennines lead industry. Paul said: “We’d really like to hear from people who have always been curious about a place near their village or town, which perhaps has a legend attached to it or has mysterious lumps and bumps in the ground which might have been an ancient settlement of some kind. Wherever possible, suggestions from the public will be worked into the project programme. The project is open to everyone with an interest in the archaeology of the North Pennines, and attracts volunteers from Tyneside, Teesside and further afield as well as residents of the AONB’s towns and villages. New volunteers are always welcome, though the new project, if it secures the necessary funding, will not actually get underway until autumn this year.